Pest control is a service that hundreds if not thousands of people are in need of each and every month here in Brisbane. The reason for this is because Brisbane is home to pretty much all the common household pests. Creepy crawlies such as Cockroaches, Silverfish, Spiders, Ants, Fleas and many more. And also Termites which is the most destructive pest we have here in Australia. Termite control and treatments require expert knowledge and training, I’ll go into more detail a bit later. Brisbane is based on the east coast of Australia which puts us in the sub-tropics. This is a major contributor to the abundance of pests homeowners get inside and outside of their homes. Many pest species thrive in a warm and humid climate as we have here in sunny Brisbane. Our climate is one factor which aids in their population growth. During our colder months, from the end of April to August pest activity will certainly taper off. But just because it’s colder this doesn’t mean they aren’t still around. Pests are always around us even during the winter months. They are less noticeable because the climate doesn’t suit their breeding habits. So does this mean you don’t need a Brisbane pest control service done during the winter months at your home? A pest extermination service can be very beneficial during the colder months of the year. The reason for this is it can help to prevent pests from harbouring in your home. Although pest activity does start to slow in the winter they are still looking for a safe place to harbour. A safe place to hide will enable them to get ready for the next breeding season. So a pest control Brisbane service can help to set up a home in time for the warmer months ahead. Homes will need a pest treatment at least once every 12 months. The main question many pest controllers throughout Brisbane get asked; is how often should I get pest extermination done. The simple answer to this question is every 12 months, as mentioned earlier, but there’s a good reason for this; let me explain. One very good reason to have your home treated for pests every 12 months is that of the products we use these days. All the products that a pest control company in Brisbane uses these days are manmade. And this applies to all pest companies throughout the world. As good as these new products are they do have limits on how long their effectiveness to control pests will last. Depending on the product used during a pest elimination treatment and where it is being used, counts. These two elements will have a lot to do with how long it will actually last for. We will go further into the different pest control products we have these days and what’s in them a bit later in the blog. The thing to understand from this is that a pest service is only as good as the product used by the pest controller. And also the experience level of the pest control technician that applies them. The pest technician plays the most important role in successful treatments. Whether it’s inside a home or for a commercial property. I will go further into the different pest control products and how safe they are or aren’t later. Ok so to have a quality pest service done will require an experienced pest control technician. When treatment isn’t successful it usually comes down to the technician that completed the service. The very first thing that should be done by a pest controller is to ask some basic questions. Asking the customer some questions about their pest problem will help in carrying out the treatment. Now, let’s not forget not all properties a pest control Brisbane company is called out too will have a pest problem. But this doesn’t mean the pesty shouldn’t ask some questions. Such as when was the last pest control service done. Or are there any problems you may be having inside or outside. Asking the customer a few questions and then doing a quick inspection before starting the treatment. Will give the technician a much better idea of what to do. Only once a technician has a clear plan in their head. Of the sort of problem there may be, can a solution be found. This will then also determine what products to use and where to place them. A pest management service is split up into 5 different areas. Or at least that’s the way we do it here at Sunnystate pest control services, they are detailed below. Place cockroach Gels to the Kitchen area. Apply insecticidal dust to the kitchen areas. All of the above procedures should be carried out by every pest management company that is engaged by a customer to complete pest treatment at their home. If these steps aren’t carried out and applied correctly, there can be no guarantee of the treatment working. So we first start by applying a chosen liquid insecticide to areas of concern or that we feel will or may harbour pests. 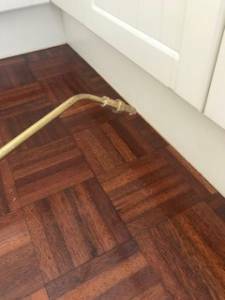 General areas to apply pest sprays on the internal of a property are skirting boards and kitchen kickboards. Another important area in some situations is the window tracks. The reason for applying the liquid sprays to these areas is quite simple. This is where pests are most like to run. This gives the best chances of transferring the poison within the insecticide to the pest. Once the spraying has been completed we then will start to apply some baits to the kitchen area. These baits are specific to cockroaches helping to eliminate colonies. They will be placed inside of kitchen cupboards. Usually to the door hinges as this is a favoured harbouring spot for cockroaches of all species. The cockroach gel is generally applied to every other cupboard during a pest control service. Or in the case of an infestation, the gel may need to be applied to all of the cupboards. Now we move onto applying insecticidal dust to the kitchen area. The main areas of concern here are the inside of cupboards and under appliances. The dust can be applied to either the shelving of the kitchen cupboards or the hinges. This will depend on the technician doing the service, but both are effective areas to apply it too. The other places for the dust to be applied is underneath all the appliances. For instance, the dishwasher, microwave and of course the fridge. These three areas are well-known harbourage places for pests. The common cockroach will feed and breed in these type of areas especially if they are not properly treated. After the kitchen area has been properly treated with the dust. The next step is to apply the same dust to the roof void. In my opinion, treating the roof void is an absolute number one priority. This will help to gain a long-lasting treatment to keep pests away for the warranty period. The dust is blown into the rood void with an electric machine. By using an electric blower it enables the dust to reach into every area of the roof void. If the roof was to be treated by hand, it would not only take forever to complete. But more importantly, it just wouldn’t get into all the hard to reach areas. Roof voids are most pest control technicians worst nightmare. Most just don’t like to go up there, as it takes a bit of time. It can also be a hazard so technicians have to be very careful not to fall through the ceiling. But it really is an area that needs the attention of a pest controller. This is because many pests such as; cockroaches, silverfish, spider, ant, lice and mites can all harbour there. Now we come to the external treatment. Sprays are applied to the outside lower levels of the walls of a property. Also, the sprays can be applied to gutter surfaces and downpipes. These are a favourite place for pests such as ants to frequent. Outside BBQ areas are another very important place to be treated. An outside BBQ can harbour a huge amount of cockroaches. The last thing you want is cockroach excrement all over your BBQ hot plate, as this can lead to illness. Liquid sprays are also applied to ant nests when found in the gardens and lawns. This will certainly help to bring ant activity under control. Spraying of a liquid insecticide does come with some limitations at times. The limitations will depend greatly on the weather conditions at the time of the treatment. During weather with high winds, a pest control Brisbane company will have to be very careful when spraying up high. It is recommended that during high winds that external spraying for pests is limited to ground level and just the lower areas of walls. This is to help prevent overspray from entering into the neighbouring properties. The neighbours could have a fish pond or pet drinking bowl out, so care must be taken. If an insecticide comes in contact with aquatic life it will kill them very quickly, in most cases within minutes or a few hours. Where pets drinking bowls have been contaminated with an insecticide from possible overspray. The bowls should be thoroughly cleaned and refilled after the treatment. Although it wouldn’t be enough to kill them it may make them ill, so once again care must be taken. Your local pest control technician should always advise you to remove all pet bowls before they start. Water and food bowls have to be put away until the full service has been completed. This is the only way you can be sure there’s no contamination to pets. Fish tanks are another area of concern for pest controllers. When treating a home or even commercial premises with fish tanks care must be taken. It’s advised that fish tanks should be covered up with a thick towel and any pumps or filters are turned off during the treatment. If you hire the services of a professional pest control Brisbane company they should explain all of this beforehand. Never hire a cheap pest management company as these important areas of the treatment may not be implemented. Ok now let’s get into the basics of why you shouldn’t hire the services of a cheap pest control Brisbane company. Now I can’t emphasize this enough, do not hire a cheap pest management service, they are cheap for a reason. Most of the cheap pest control Brisbane companies hire inexperienced technicians. Some of them won’t even have a pest control license leaving the customer empty-handed. You are risking your home and family members when hiring a dirt cheap pest control service. They more than likely won’t offer any kind of warranty either with their service. A pest control company that does a cheap job will only be at your home for a short time, usually under 20 minutes. There is no way on earth that a pest treatment can be done properly in this time. Quality services will take around an hour to complete. Another thing to remember when considering a cheap pest control service is the quality of the products they will be using. Most likely a cheap company will only carry one product with them. That will more than like be something like “Bifenthrin”. Let me briefly explain, “Bifenthrin” is a great product, it is very cheap to buy, but that’s not the problem. The main problem with Bifenthrin is it has a very limited pest range. In other words, it’s not effective for all household pests. I do my blogs to help try and educate my existing and future customers about pests and the pest control industry. From what I have seen and heard over the years cheap treatments just don’t work. They will end up costing more in the long run. Get it done right the first time and use a professional. In this ever-changing world, we live in, with the advancement of the internet, thanks to companies like Google. We have an amazing information overload of just about any topic we want to research, and that includes the pest control industry. Now when it comes to chemicals and especially the ones a pest management company gets to spray around a home. We tend to want to know what’s good and bad and will they harm you. Well, the good news is that pretty much all of the pest chemicals a licensed operator is allowed to spray are very safe. Now let’s determine what I mean by safe. Let’s face it something that kills another living entity is not what you would class as safe. But let me explain, older chemicals once used in the industry. Ones such as “Chlorpyrifos” and “Dieldrin” are now banned. There are situations where Chlorpyrifos can be used externally. But for me why would any company want to use it, when there are now better and safer products to use. I guess the only reason I can see why Chlorpyrifos would be used is for longevity. It does last a long time in the ground and kills just about any pest. This may seem hard to believe but all of our crops for years were sprayed with Chlorpyrifos. This was widely used all over the world as an insecticidal crop spray. Not a nice thought; to think our food fruit and veggies had this on them. I guess that’s why they say to wash your fruit before you eat it. Click here to find out more about this chemical. Ok so now I’ve scared you right, well it wasn’t intentional. But its true Chlorpyrifos was the most widely used pest control chemical years ago. If that was the only product to spray today. I can tell you I wouldn’t be in the pest control industry, as I wouldn’t spray it myself. But the new products we have today are odourless and in most parts environmentally friendly. Other products used like insecticidal dust, ant-gels, ant-granules, cockroach gels and even rodent baits are very safe when used correctly. The rodent baits would be the one product that a pest control Brisbane company needs to ensure is correctly used. All rodent baits used to kill and control pests like rats and mice have to be placed inside a lockable bait box. Rat bait boxes are made of very hard plastic. They have a central chamber where the bait is placed; this keeps it safe from kids and animals. Cardboard boxes can also be used for rodent control. These are only used either in roof voids or in industrial commercial premises, where no children are likely to be. Another thing to mention that many people don’t know. All pest controllers are governed by legislation from Queensland Health as to what can and can’t be used for pest elimination purposes. Queensland health is a Government body that is responsible for issuing an individual a pest control license. If complaints are made against a technician; Queensland Health Department can take away that person’s license. The label tells a pest control Brisbane company 3 important things, listed below. Labels should always be read when a new product is purchased and before use. All labels tell us where the product can be used in a residential or commercial situation. Whether the product can be used internally – externally or both. The label also tells us what mix rate to use for different pests and conditions. It’s very important for a licensed pest controller to keep up to date with the changes in the pest control industry. This helps to not only keep the customers and their pet’s safe during treatments. But it also helps to keep the pest control company within the law. DIY pest control is becoming more popular for some. It’s not for everyone as it takes time and it can end up costing more than a professional service. Most people go to a store like Bunnings, Coles and even Aldi to gather their pest controlling chemicals, in the hope that all their pest problems are solved. This excitement is usually brought crashing down to earth a few days or months later. Most soon realise they still have cockroaches or some other pest they were hoping to eradicate. It really is easier to use your local pest management company to eradicate pests. 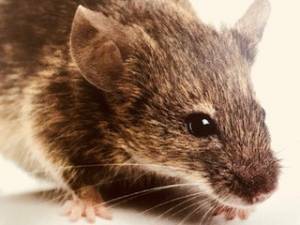 Now we will have a look at some of the more common pests found in our homes throughout Brisbane during a pest control service. The main ones we will look at are Cockroaches, Silverfish, Spider, Ants, Rodents and last but by no means least Termites. Termites are probably a homeowner’s worst nightmare. For me as a professional pest control technician; bedbugs are worse than termites. To learn more about bed bugs click here. The good old cockroach or as most these days refer to them as cockies, are an insect that belongs to Order Blattodea. They have been around for some 300 million years, yes that right, it a long time and I’m sure they’ll be here long after we’re all gone. There are about 3500 different species of cockroach worldwide, but we only need to worry with about ten of those. They are very good at scavenging and have adapted very well to living alongside us within our homes. 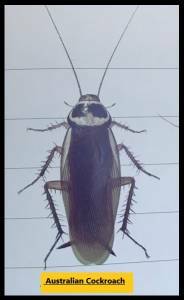 Cockroaches are everywhere, they are found in houses, unit blocks, commercial premises, schools and offices. An adult cockroach is what we would call a medium to a large insect. Their body is flattened and this allows them to hide in small cracks and crevices. They have small spikes on their legs and this aids them in running and crawling over a variety of different surfaces. They have a chewing type mouth and this enables them to feed on a variety of different food types, they will feed on any type of human food source. Some species have wings and this helps them to easily make their way into our homes, through open doors and windows. Believe it or not, cockroaches reproduce sexually, the female will lay down an attractant pheromone and the males pick this up from chemoreceptors on their antennae. The eggs that the female carries around with her are held in a case called an (oothecal) this case can contain as many as 12-40 eggs, the amount will depend upon the species. The egg case is either dropped or glued to a surface where the cockroaches run or harbour. Once the eggs have hatched the “nymphs” which is what a baby cockroach is called, will stay close to the adult cockroaches. The nymphal stage can take anywhere between 2-4 months, this will depend on the species; in some species, the nymphal stage can be as long as a year. An adult cockroach can live from a few months or up to a year, and during this time the female cockroach can produce around 5-30 oothecae, and let’s not forget each Oothecae can contain between 12 and 40 eggs, that’s a lot of little cockroaches running around. The cockroach can harbour and breed in and around houses and commercial premises that may provide a suitable shelter and of course plenty of food. Many customers call us up after they have moved house, this is a time when cockroaches and their eggs can be transported, this is just one way they can easily move around. Other ways cockroaches can find their way into our homes; is from shopping and not only food shopping. Many people bring them in via cardboard boxes when having purchased white goods such as televisions, microwaves, dishwasher or just about anything packed in cardboard. Warehouses that don’t have an annual pest control Brisbane treatment done will certainly have cockroaches and other pests. 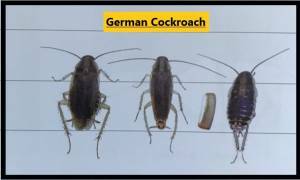 As mentioned earlier cockroaches will feed on just about any food type from human to animal foods, and their pretty partial to curry, but who can blame them for that. If you are seeing cockroaches during the day then this can be the first signs of an infestation occurring, at this point treatment is essential. All of the above cockroach species can cause serious problems for homeowners, especially where an infestation has started. Now, this is the million dollar question, how do I stop cockroaches or the other one I hear a lot is; how do I get rid of cockroaches. Well, you will be pleased to know it’s not that hard to keep cockroaches out of your home, even the dreaded German Cockroach. The main thing that needs to be looked at is hygiene, wow stop right there I hear you say, but my house is perfect very clean and tidy. Ok, now I have to be very careful here as not to offend anyone, let me just say we all have our own ideas of what clean and tidy is, and that fine. But when I’m called out to a cockroach infestation; the main cause is usually, well no always from hygiene. 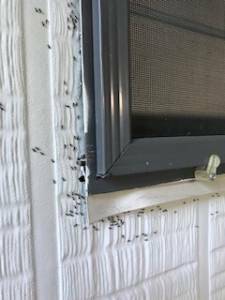 Now, what is classed as an infestation, to a professional pest control Brisbane company an infestation is when there are cockroaches present during the day? Large and Small cockroaches running around at night can be a problem and even the start of an infestation. When they are seen during the day this can be the sign of an infestation. I’ve gotten a bit off track here, but just to clarify, if you are seeing cockroaches at night it’s time to call in an expert pest controller that knows how to get rid of them. If you are seeing a few cockroaches from time to time; at night time this is normal. If you have had your yearly pest spraying done it should keep them under control. Don’t forget what I said earlier cockroaches are all around us. They can be brought into our homes in shopping bags and they even fly in, so seeing the odd one from time to time is perfectly normal. Having a professional pest control service once a year will stop these stray cockies from harbouring within your home and breeding. So as mentioned earlier, the main thing that any homeowner or tenant can do to help keep cockroaches out is to give the premises a good clean. The less inviting your home is to them; the less chance you have of ever having any serious problems with them. Always keep food stored in plastic containers, or use food sealers, keep the dishwasher clean, don’t leave dirty dishes in the sink during the day, and never overnight. Vacuum your home on a regular basis, keep pet food in a sealed container, never leave dog food out for long periods of time, what they don’t eat put away until the next day. All of these suggestions are quite obvious once they are pointed out. I promise you this if you implement these simple suggestions and also have your local pest exterminator carry out a treatment once a year, you should have a cockroach-free home. Oh wow, can I please now move on to the next pest? Silverfish can be a problem for homeowners, but not as big a problem as cockroaches. They belong to Order Thysanura there are 28 species of silverfish in Australia, they are very agile and can run fast. 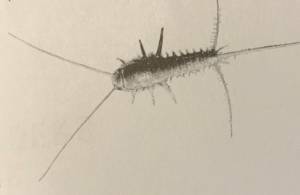 Silverfish are wingless and covered in scales; there are about 5 species of silverfish that cause problems not only for homeowners but also for businesses. They prefer to harbour in undisturbed places like bookcases, roof voids and storage rooms, in these places they will damage paper and other materials. They have long antennae and three long appendages at the rear of the body, the young silverfish look the same as the adults. They undergo a primitive metamorphosis and the female silverfish lay single eggs but sometimes can lay eggs in a small batch. The eggs hatch in 2-8 weeks, silverfish can live for as long as four years, this will depend on the environmental condition. Silverfish run like the clappers and are nocturnal, so mostly seen at night as they don’t like the light. They can be found in darker places and are found throughout a house, especially where there are books. Silverfish are not a very good climber of smooth surfaces, this can sometimes be their undoing, as they can become trapped and easily spotted by the homeowner. The best way to get rid of silverfish is to burn all your books and live in a steel room, only joking please don’t do this. One of the best methods of keeping silverfish out of a home is to place unused books and paperwork into plastic containers with sealed lids. If you have them and you want to get rid of silverfish, cleaning bookcases and rooms with a high amount of paperwork inn is a good start. Open up a room and let the light and breeze into it, this type of environment is not desirable for silverfish and will help to bring them under control. Any household surface spray will kill silverfish on contact; periodically spray areas where there are a high number of books and paper. A professional pest control Brisbane company would use a combination of products, first an aerosol with a flushing agent in. This will bring them out and give a better idea of where they may be harbouring, so these areas can be more thoroughly treated. The use of a surface spray specifically designed for silverfish that has a long-lasting residual effect is another way. The use of insecticidal dust is a very popular way for pest controllers to get rid of silverfish, as this has a very long residual and can be applied to hard to reach places. Spider or (Arthropods) are the pest most people fear the most; they are found all over Brisbane. 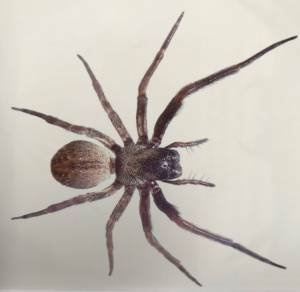 The spiders most commonly found throughout Australia belong to (Order Araneida) there are many different species. The most common ones found In and around our homes are Huntsman spiders, Wolf spider, White-tailed spider, St Andrews cross spider, Redback spider. Spiders have eight legs and they have a body that is separated into two sections the cephalothorax and the abdomen. Their legs are usually covered with hair, which gives them that scary look, and the appearance of being bigger than they really are. Spiders have (palps) these are located at the front and can be mistaken for legs, but the function of the palps is purely sensory, and in the males, they are also used for reproduction. Many spiders have three or four pairs of eyes, and they are found on the top and the side of the cephalothorax. Once the female spider becomes sexually active and able to reproduce, she will produce an egg sac. The egg sac will contain lots of eggs and will vary in size depending on the species of spider, and the eggs will hatch inside the sac. The sac can be found close to where they harbour or in burrows depending on the species. Young spiders are known as spiderlings and they will have to find their own food once emerged out of the sac. Spiders can lose limbs during encounters with other spiders or predators. If they survive the limb will grow back after some time. There are two different types of spider, the webbing spider and the ground-dwelling spider. The life cycle of the webbing spider is around 12 months. Whereas some ground-dwelling spider develops slower and can have a life cycle of a few years. Most spiders are nocturnal and are not very often seen during the day unless they are disturbed. They hunt and feed at night when there are more insects flying around. Webbing spiders will spin a new web as the daylight starts to fade. They use the web to catch insects and encase them in a silken web to feed on at a later time. The most asked question I get is; does the female spider really eat the male spider, and the answer is YES she does. All spiders will kill and eat other spiders. Where two spiders are placed in a jar, one will always kill and eat the other at some point. 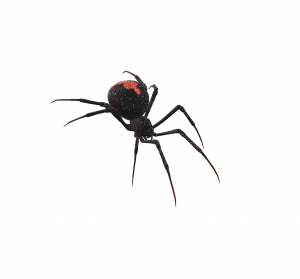 The most successful way a pest control company in Brisbane will kill spiders and bring them under control is by direct contact of the spider with an insecticide. Inside of a home the use of sprays or aerosol cans are effective, but care needs to be taken when spraying poisons above your knees inside of a home. Not only can fish tanks and food preparation areas become contaminated with insecticides, but if too much is sprayed onto a wall, it can run down and look unsightly and even damage the wall covering. So care must always be taken when spraying any type of pest spray inside a home. There are some 3000 different species of ants found here in Australia, that’s a lot of ants when you consider a single colony can contain hundreds and even thousands of individuals. Ants are considered to be one of the most successful insects due to their ability to easily find food, protect their colony and reproduce. Pest control Brisbane companies are called out to homes all the time to help with the control of nuisance ants in and around the home. All ants are social creatures and live in colonies and they all have a job to do, the workers and major workers (soldiers) are responsible for finding new food sources, building nests and protecting the colony. The body of Ants have three easily spotted body sections, the head, thorax, abdomen, they have compound eyes and elbowed antennae. Ants undergo what is known as a complete metamorphosis, the eggs are very small, the larvae are a whitish small grub. The male ants have wings and their main purpose in life is to mate with the female ant. The females start out with wings, but they are dropped after mating. A female Ant can live for up to 15 years and will normally only mate once. The male Ant usually dies after mating with the female. The eggs that are fertilized will become female ants; of which many will be workers. And the eggs that aren’t fertilized become male ants. Ants live in nests that are mostly built in the ground, but in some situation can be found in buildings. The worker ants are constantly foraging for food to feed the colony with. They will run along trails and drop pheromones along the way, this helps the other ants to follow and aid in bringing food back to the main colony. Pheromones that ants drop down along trails, give a specific indication to others. These may tell ants within the colony which direction to go in and they even have alarm pheromones. Ants can be predators or scavengers and will eat a wide range of different foods. Leaving anything sweet out for some time will inevitably end up with ants coming to feed on it. The scavenging ants are the ones that end up moving into our homes and becoming a nuisance for homeowners. 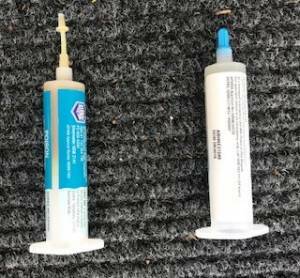 In recent times the chemicals that aid pest controllers around Brisbane to control ants have become very sophisticated. One particular product called Termidor is the most used by professional pest control companies these days. It has what is known as a transfer effect, so when foraging ants come in contact with Termidor they take it back to the colony and then it gets transferred to the other ants. There are also very good Ant gels on the market now to help eradicate ants. This method will usually take a lot longer to bring them under control. Keeping food preparation areas clean and tidy at all times is one of the most important things a homeowner can do help keep ants out. Where pets are present; leaving cat and dog food out all day long will attract ants in abundance. It’s advised to always remove unfinished pet food. Place it back into a sealed container until their next feed time. Home remedies rarely work in the fight against ants. It’s best to hire the services of a professional pest control Brisbane company to treat all areas with Termidor. Termites cause more serious structural damage to homes than any other pest in Australia. They have to be dealt with by a well-trained termite technician. One that fully understands the habits of the many different species. This is a pest that we could talk about for a very long time, but here I’ll brush over the basics about termites. One thing I can’t stress enough; is to use a Professional to deal with termites in the home. These little creatures are an insect that belongs to (Order Isoptera) some people call them white ants. And as I’ve explained in many other blogs about termites (they are not Ants). 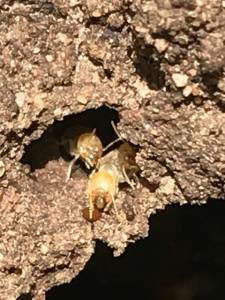 Termites live in colonies and are a pale brown to white colour, the workers and soldiers are blind sexless and don’t have wings. They will build nests in trees or on the outside of branches. They can also have mound nests in the ground and worst of all they build their nests within our homes. When termites are found inside a house or commercial property. A series of treatments need to be implemented in order to successfully remove them from the premises. If the treatment is not carried out properly the termites will appear in another part of the house a few months down the track. To many people make the mistake of breaking up the nest when they find termites in their home. This is the worst thing that anyone can do. For a Brisbane based pest control company to deal with the removal of termites from a home. They will need the nest and the working to successfully eliminate them. The process of getting rid of termites from a house can take anywhere from a month to 6 months. This time frame will depend on the time of year. Termites are less active during the colder months of winter. So dusting treatments don’t often work; in this situation, bait stations are usually used. There are over 300 different termite species in Australia. But there are only a few of those that are of concern to a pest control technician. 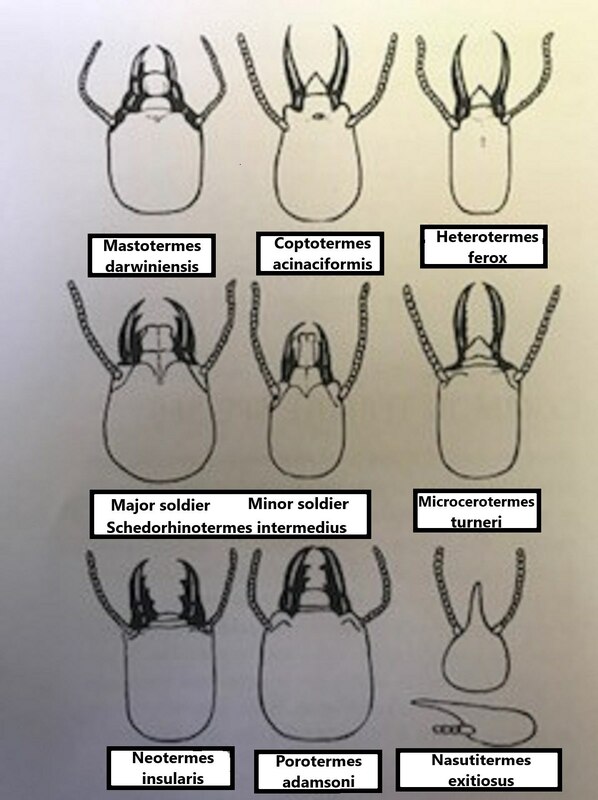 The main termite species in Brisbane are listed below. There are a number of ways to treat termites the most well-known is a soil barrier. A soil barrier involves digging a trench around the footings of a home and then filling the trench with a registered Termiticide. Where there is concrete; holes are drilled and then the Termicide is injected under high pressure to penetrate the soil beneath. The idea of a soil barrier is to create a continuous barrier of chemical all the way around the property. Another method is to install termite bait stations around a home. The stations have an active bait inside them that the termites will feed on. The good thing about the bait stations is the termites will unknowingly take the bait back to their main colony. 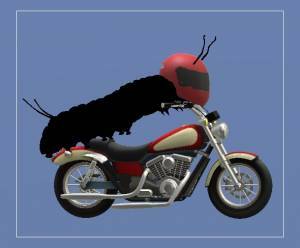 Termites are social creatures and this enables them to transfer the bait to other members of the colony. This process will eventually kill off the entire colony including the egg-producing Queen. A termite inspection service is one of the most important things a Brisbane homeowner can do. As this service will help protect homes from termite attack. A professional pest control company will issue a full written report after the pest inspection. The report will also outline any issues that may be present. It is recommended that all Brisbane homes have a Termite Inspection. This should be carried out at least once a year. Inspections are becoming more advanced these days with the aid of electronic devices. 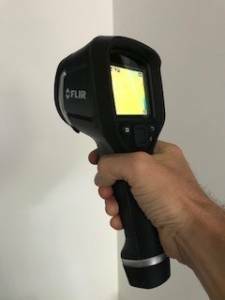 Ones such as moisture meters and thermal imaging cameras. The more tools like this that a termite inspector has at their disposal. The better the chances are of them finding live termites in a home. Well, I do hope this blog will be of some benefit to people looking for some basic knowledge. All about pest control services throughout Brisbane. When it comes to pests in and around the home. It really does pay to hire the services of a professional pest extermination company that can guide you in the right direction. If you require any help or further information regarding any pest problems in or around the home or office. Please don’t hesitate to call us anytime or send us an email.